Nationally recognized as a “Great Bourbon Bar of America” with a selection of over 175 hand-selected Bourbons. The menu features 21–day dry–aged U.S.D.A. certified prime steaks, Midwestern corn–fed Black Angus beef, formula-fed veal, New Zealand lamb, and fresh seafood. 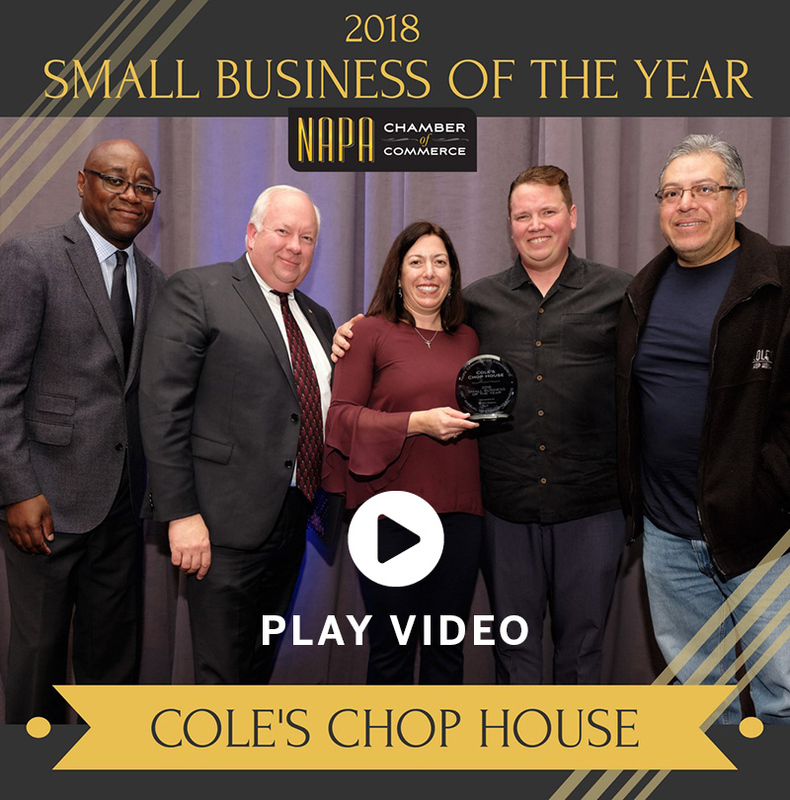 Cole’s Chop House is a “Classic American Steakhouse” located in historic downtown Napa. The menu features 21–day dry–aged U.S.D.A. certified prime steaks, Midwestern corn–fed Black Angus beef, formula-fed veal, New Zealand lamb, and fresh seafood. We offer an extensive wine list emphasizing wines from the local area and across the globe, classic cocktails, and intriguing bourbon and whiskey selections. You can make your reservation from here.